My teenage son bought me a 3D printer for my birthday. He's such a good kid, spending his hard earned money from a part time job to get me something. One of my first projects has been this remote cradle/center console stereo control center. 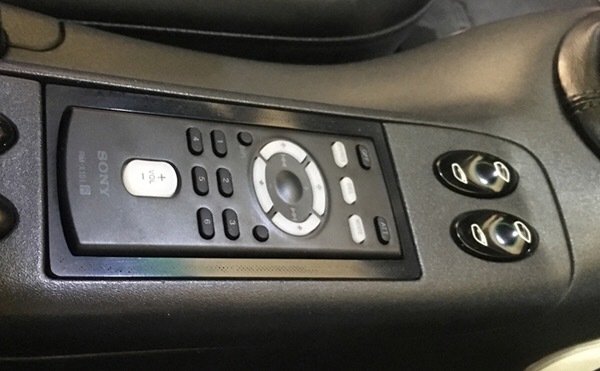 I already have steering wheel controls and used some OEM buttons (defrost) as volume up/down and next/previous track for my current center console controls, but thought it would be nice to have the full function of the remote (I'll be removing the current defrost buttons I'm using as stereo controls). Why? Because our Mazda daily driver has center console and steering wheel controls and I just find it much easier and more convenient than looking at and reaching for the stereo. The steering wheel controls are nice when shifting through gears. 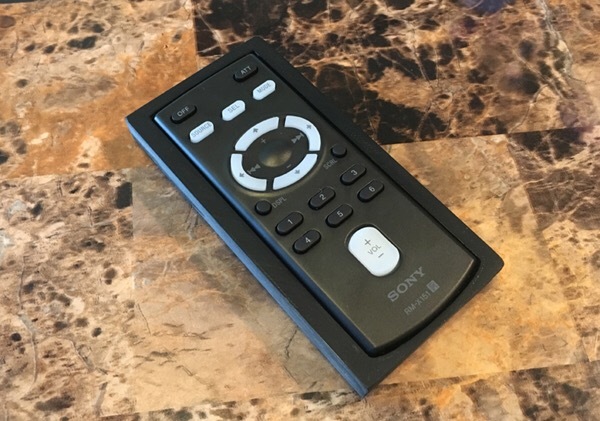 The IR transmission LED is mounted in a discreet location and the remote is on an external regulated 3.3V power supply, so no need to ever change the battery or remove the remote from the cradle. The color of the cradle is darker than the console, and I may paint it at a later date, but it's fine for now. I also added matching LED backlights to the remote. It was printed using ABS with a 1.2mm shell and 20% fill. It was a fun project for my son and I to do together and useful, too. 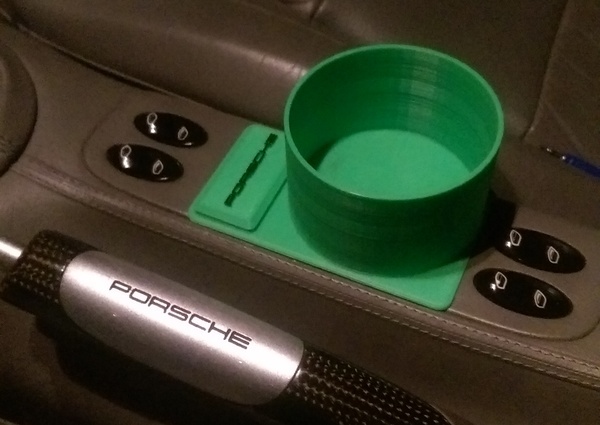 Wonder if a cupholder could be 3d printed that mounts somewhere, for us that dont have the in dash unit. Would you be willing to make more of these? 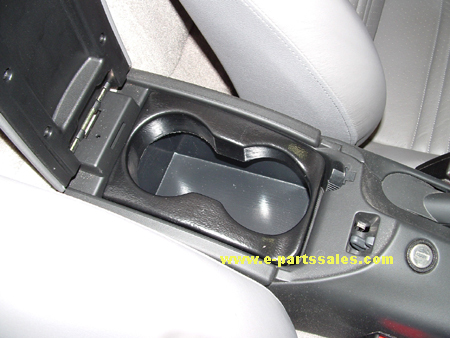 I bought my car with the ashtray missing and I'd like to cover the hole with something. If so, how much? I've been thinking about getting a 3D printer...would you care to share what one you have? Also, I've been reluctant because I fear the novelty would quickly wear off and I would have yet another "thing"...if yours is for personal use, I'd be very interested in a long term update (as well as all of the interesting stuff you've made. Additionally, what design software are you using (please don't say Autocad, unless you have spare licenses laying about, lol)? I suppose this is a bit "off topic" for the forum, so if you don't want to share in a thread, feel free to PM. BTW... Kudos on your design. It's a Creality Ender 3. There may be better recommendations from people with more experience, but I have no complaints. It is well built and does what it's supposed to. I do have AutoCAD, but have been using TinkerCAD (free online CAD program, also by AutoDesk) because it is much simpler and faster to build with. Once the design is finished, simply export the .stl file to your computer. Cura is a free 3D printer slicing program that I use. Import the .stl into Cura and it automatically creates the g-code toolpath. It's all ridiculously simple and fun to do. The printed objects are strong and with the variety of plastics available, you can change them out to suit the parts needs. I'll update when I have more experience, but it's definitely useful. Someone made one a while back. He had the .stl file online for a while, but has since taken it down and now you have to pay for them. Nice, I have an Creality CR10, kind of the big brother of the Ender 3, bigger build size, taller etc. I think anything from Creality is going to be a good bet at the moment. I also use Tinkercad, it's really easy to get started and you can easily load in files you find online and edit them to get started. Congrats and I hope you enjoy your printer. Two of my boys (n their 20's) have 3d printers. There is so much stuff out there that you can start playing without having to be the designer or "know" design software. I have an '84 Alfa Spider and frequent the AlfaBB online. One of the forum members has been great about modeling and sharing parts for the Alfa. There are lots of little pieces...clips etc. that are no longer available as OEM parts. The printer has provided a great way to produce otherwise obsolete parts. I'd assumed that the issue would be creating .stl files without Autocad. I've had a love, hate relationship with Autodesk for years....namely with the insanely stupid prices they charge for licensing and what seems to be their almost total control of .dwg and .dxf extensions. As a work around, I was using Autocad mobile (it's had various names over the years) as it was a free product, but suddenly they have decided to charge a fee, no only to use the product, but to download my library of drawings that I have stored in their cloud (not that I wanted to store them in their cloud, but they made it ridiculously difficult to store on a local device). I've tried other programs that work with .dxf (with limited success for multiple reasons) so I might look into TinkerCad, but would prefer not to get sucked into yet another Autodesk product. As an FYI, I've been using Sketchup for years as it's pretty powerful, intuitive and is the best option I've used for 3D modeling. Sharing a little tip, Sketchup does not support .dxf import (which is a huge pain) but a way, way previous version (back when they were owned by Google) it did have a .dxf import function. Searching around the dark corners of the web, I found the version that had the import functionality installed it, imported my .dxf then saved as a .skb then opened the saved .skb (created using the old version) on the latest version...this is a great work-around. Lastly, I just looked to see if Sketchup has a .stl export function, not "as installed", but there is a plug-in available (yea! ), so I suppose now all I am missing is a printer...and blessings from the wife of course. How about someone spitting out some ash tray delete parts ? That little piece of plastic is stupid expensive for what it is . How does it sit flush?... Anything under it?... Does it pop out easy? I want one of the Ash Tray Delete's....Could be a Hot Item! Maybe do it so the light can be used from the original. Just a thought! I can share the file, but I'll need to tweak it a bit. I actually had to wet sand mine a bit because it was about 1mm too wide. Under it is just a wood block, cut and sanded for a snug fit in the cavity. The remote tray is glued to it, so it all pulls right out as one unit, just like the ashtray. Nothing fancy. I have 3 remotes for my stereo (one came with it, bought two spares in an eBay lot sale), so I just stuck one to the left side of the wheel hub where I can easily hit it with a finger with my hand on the wheel. It's not fancy, but it's not in a visible location and works great. 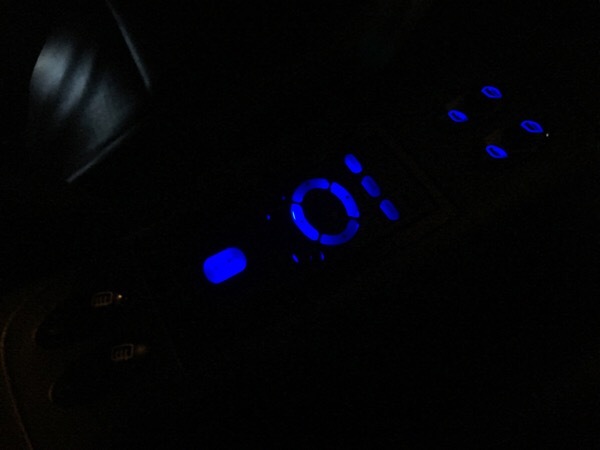 I routed the IR LED to the bottom of the wheel, pointing at the stereo. My original plan was to get a tiptronic steering wheel and use its buttons for volume up/down and previous/next track, so I may still do that if I can find a tip wheel for a good price. 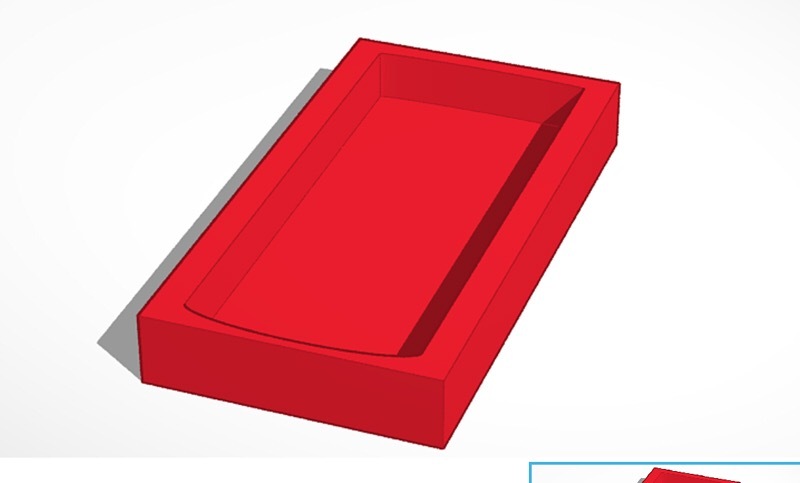 Sorry if this is off topic but I would love it if someone would do a 3d scan and produce vanity mirror covers.